When faced with an ethical dilemma, often we do not know what to do. We may simply follow the mainstream, do excessive thinking, follow the 'expert's' advice or simply comply with religious teaching. According to Ajahn Brahm, the most trustworthy and fundamental ethical compass of right or wrong is your heart. Be mindful of those feelings and follow what is right inside of you. To illustrate this point, Ajahn Brahm raises a challenging discussion about breaking precepts under certain circumstances when it is simple the ONLY right thing to do. In this unethical world, where ethics are bent to achieve monetary gain, power, pleasure and so on, you may lose many battles while you are protecting your ethical stand, BUT you will win the war eventually. How can we deal with the death of someone close to us? How can we reconcile the Buddhist understandings of no-self (anatta) with rebirth? Ajahn Brahm explains how it is we have life after life, and how understanding this can help us in this life. Ajahn Brahmali talks about how virtue, especially of the mind, gives rise to mindfulness and how mindfulness is instrumental to successful meditation. Ajahn Brahm gives a talk about materialism and the escape from materialism without bringing our world into chaos. Those seeking to convert others to their own views are not loving them for who they are, but are putting their views ahead of compassion for humanity. Ajahn Brahm makes the case against conversion, and to put our humanity before our religious affiliation. Thanks to our supporters for such a great first month! This new dhamma podcast has been up and running with talks now for just 30 days, and in the time we've had 17,176 talks downloaded and 148 people subscribe to this dhamma podcast. That's a HUGE first month - much bigger than we anticipated - and a clear indication that there's lots of people out there that want to hear good dhamma talks. Due to their generous support we should be able to upgrade our podcasting service and begin offering new dhamma podcasts. We'll be getting to work on a new meditation podcast starting in September. Stay tuned. And don't forget to tell your friends and family about the BSWA dhamma podcast! Ajahn Brahm talks about the roots of the negative emotion jealousy, and ways that we can overcome our egocentric view of the world to respond in a more skilful and wise manner. Ajahn Brahm discusses one of the biggest obstacles on to spiritual progress is egotistical spiritual pride that blocks compassion and wisdom, and block progress on the spiritual path. Ajahn Brahm gives a simplified explanation of the core Buddhist teaching of Dependent Origination with his typical sense of humour. Ajahn Brahm reflects upon the best way to care for the elderly in our society, and the benefits for those who care. 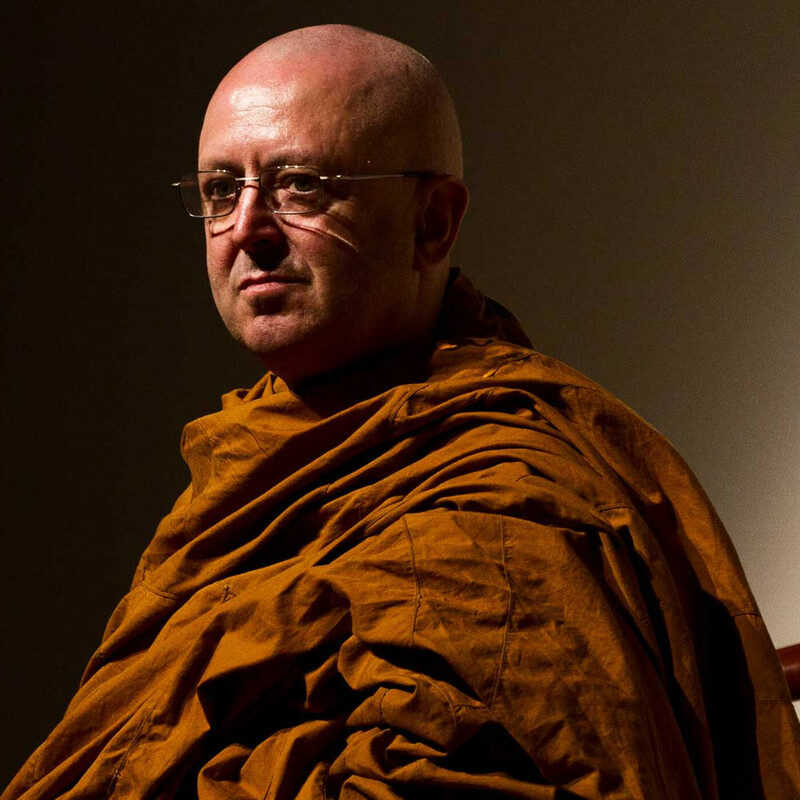 Due to numerous requests from people asking about the issue of terror in the modern world, Ajahn Brahm offers a thoughtful Buddhist response to terror. No matter what someone has done to you, or no matter what you have done to another, there is always the possibility of reconciliation. Forgiveness has a power all its own, and it can transform the lives of both those that seek forgiveness, and those that grant it. Ajahn Brahm explains how. Ajahn Brahm talks about the beauty of generosity in the human heart, and how when we put our heart into generosity, everybody is a winner. Thanks for supporting our new podcast - help us to reach an even larger audience. This podcast is on track to get 12,000 downloads in its first month and yet there's so much more potential. We'd like to add a couple of new podcasts to this platform, one of them specifically for guided meditations. These teaching remain free only because of the generosity of donors that help cover the costs of these services. You can help make this happen by becoming a patron and donating as little as $5 per month. Could this generous donor be you? Ajahn Brahm gives advice on how to get to the other side of anger. Fly-in fly-out monk Ajahn Brahm, discusses a Buddhist approach to charity which includes combining both compassion with wisdom to really help those in need. Don't just focus on the negative parts of life, put energy into the positives. Ajahn Brahm talks about how to find happiness in life.